As expected, most of the top teams in the WMC rested its top runners top preserve their legs for the postseason haul. Spectators on hand were still able to see some compelling races at St. Joseph's College In Standish. 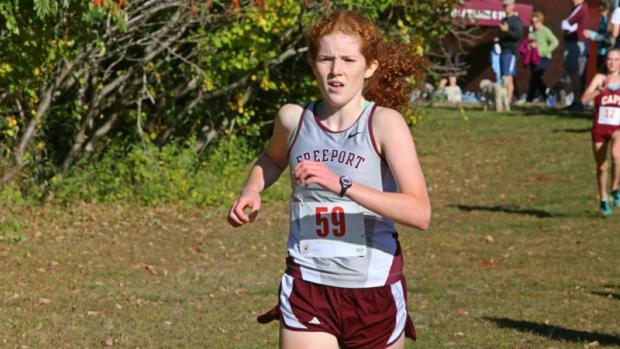 In D1 it was Freeport's Lily Horne taking the title in 19:54, nine seconds ahead of Lila Gaudrault of Cape Elizabeth (20:03). Emily Carty of Fryeburg was next (20:35), with Yarmouth's Anneka Murrin (21:23) and Greta Elder (21:24) following. 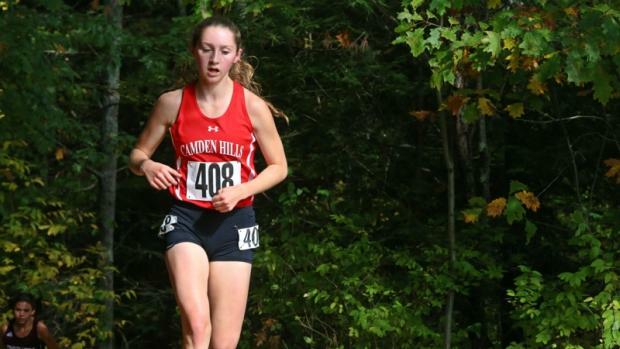 Cape Elizabeth, ranked seventh, put five in the top 18 overall to take the team title scoring 48 points, nine points ahead of York (10 in the poll), who ran without top runner Kathryn Miller. Sydney Fogg was the Wildcats' top runner finishing seventh in 22:05. 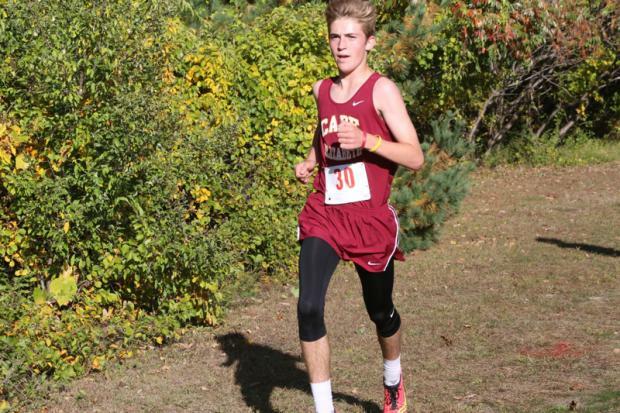 On the boys side Jack Bassett of Cape Elizabeth took the title running 17:30, 21 seconds ahead of runner-up Alex Les of Freeport (17:51). Les's teammate Martin Horne was right behind in 17:53 as the Falcons placed four in the top seven overall to take the team title, scoring 37 points. Cape Elizabeth (57) was second, while the Greely Rangers (61) finished third. Andrew Storey was Greely's top runner, finishing 10th in 18:48. 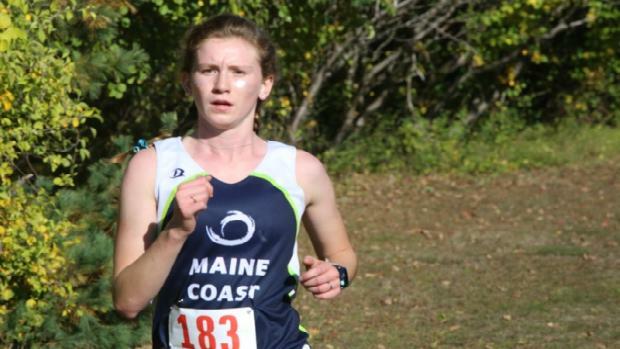 The Rangers rested its entire top five, so they will be well-rested as they make a charge for a Southern Regional title in Class A.
Olivia Skillings (20:48) and Olivia Reynolds (21:12) swept the first two spots in the D2 race to lead Maine Coast Waldorf to the team title. Maine Coast put five in the top 15 overall to score 42 points. Waynflete was second with 64 points and got a strong performance from Abby Pipkin, who was fifth in 21:55. Wells finished third with 73 points. 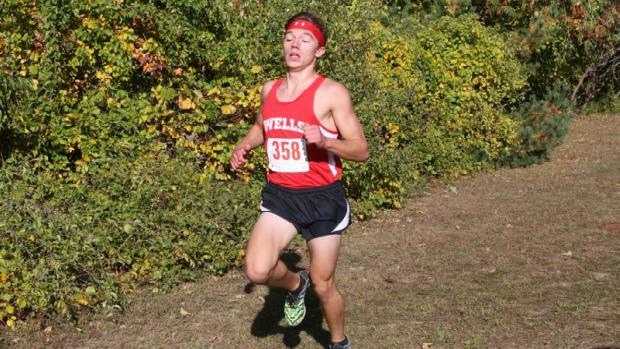 Mitch Libby of Wells continued his fantastic season taking the D2 race in 16:55, more than 30 seconds ahead of runner-up finisher Troy Hendricks of Sacopee Valley (17:33). Libby's teammate Griffin Allaire was third in 17:38 with Henry Spritz of Waynflete was fourth in 17:46. The Warriors, no. 4 in the poll, were dominant in victory scoring 39 points as they put five in the top 20 overall. Maine Coast Waldorf was second (63). The Warriors now shift their focus to the Southern Regional this weekend where they are expected to challenge Lincoln Academy for the team title. The Camden Hills girls backed up their no. 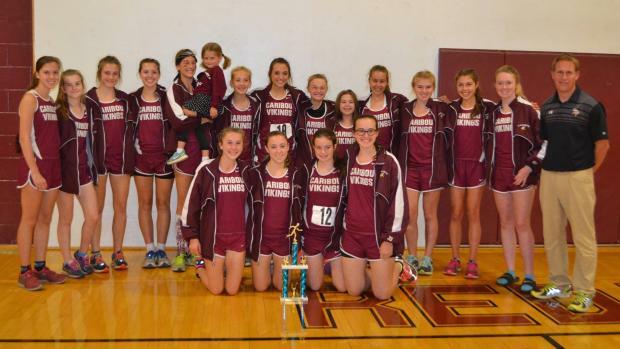 1 ranking as they won the KVAC Class A Championship on Saturday at Cony High School in Augusta. With four of the top 15 runners in the state in the Class A race, the battle for the individual title was expected to be fierce. At the end of the day though, Grace Iltis (19:56.30) and Augusta Stockman (20:19.20) took the top two spots in the race for the Windjammers. Jillian Richardson of Edward Little (20:22.90), and Karlie Leighton (20:39.20) and Katherine Leckbee (20:58.90) of Mt. Ararat rounded out the top five. Behind Leighton and Leckbee, the Eagles, no. 7 in the poll, were the runner-up scoring 55 points. Like the girls race, the boys had plenty of firepower as well with three of the top runners in the state all going at it. Lisandro Berry-Gaviria of Mt. Ararat came out victorious taking the title in 17:05.10. Gabe Coffey of Bangor was the runner-up in 17:16.10, with Wyatt Lord of Hampden Academy third in 17:37.90. Dominic Sclafani of Oxford Hills was fourth in 17:52.70. Behind Lord's third place finish, the Broncos, 10th in the poll, took the team title with an impressive win over Bangor (9th in the poll) and Mt. Ararat (8th) scoring 52 points. Hampden had four runners in the top 8 overall. In Class B the Maranacook girls and Lincoln Academy boys were dominant in victories. Molly McGrail (20:56.30), Laura Parent (21:57.70) and Sophie O'Clair (22:14.40) went 2-3-4 for Maranacook, who scored just 26 points in victory. 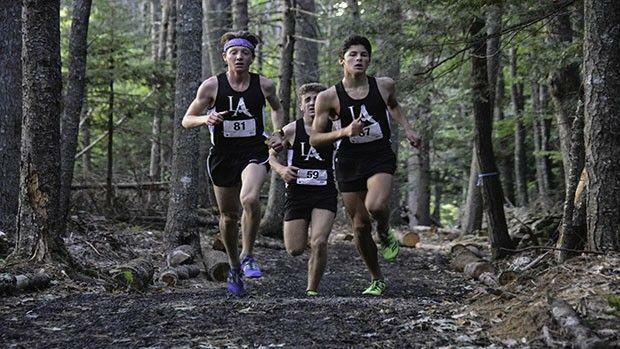 Maranacook is on the outside looking in in the most recent Flo50 Poll, but could crack into it with a good performance at the Southern Regional this weekend. Winslow freshmen Olivia Tiner took the individual title running 20:41. This was Tiner's second win of the year. Sam Russ of Lincoln Academy was the winner on the boys side, winning in 17:44, eight seconds ahead of Nick Dall of Waterville (17:52.40). This was Russ's fifth win of the season. His teammates Jarret Gulden (18:07.80), Benji Pugh (18:21.50) and David Barnum (18:25.00) took spots 3-5 as the Eagles needed just 21 points to take the team title. Lincoln's depth is very impressive and they go into the Class B South Regional this weekend as the favorite. A course record went down at the PVC Championships in Orono on Saturday. Deer Isle Stonington senior Brendan Penfold won the boys Class C race in 17:15.52, finishing 10 seconds ahead of runner-up finisher Jonathan Steelman of Orono (17:25.48). Steelman's teammate Matt Keresey followed in 17:56.52 and the Red Riots put five in the top 10 overall to cruise to its second consecutive conference title. Eliza Broughton of George Stevens Academy won the girls race crossing the line in 20:43.10, 15 seconds ahead of Camille Kohtala of Orono (20:58.32). Kohtala's teammates Erin Gerbi (20:59.77) and Liz Gallandt (21:53.84) finished third and fourth, respectively. Thanks to three top five finishes, Orono edged George Stevens Academy 26-29 in what was a preview of the Class C North Championships this weekend. 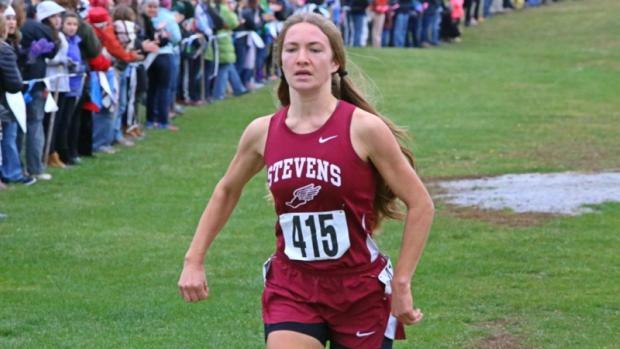 George Stevens got strong runs from Mary Richardson (5th, 22:11.34) and Zeya Lorio (22:23.81). This was Broughton's second win of 2017. In Class B it was the Caribou girls and the Hermon boys taking the conferences titles. The Vikings were dominant in victory, putting four runners in the top five overall with Abigail Wimmer leading the charge as she won in a time of 21:25.42. Caribou scored just 25 points. 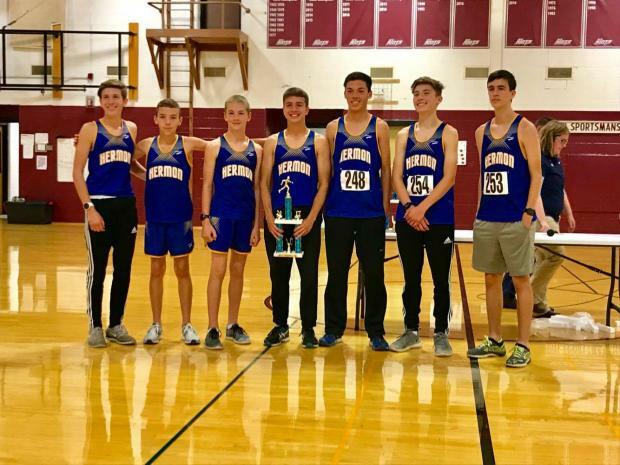 In the boys race Caribou swept the top three spots (Dylan Marrero, 17:49.38; Evan Desmond, 18:05.76; Kyle Boucher, 18:18.23) but Hermon sandwiched it's top five before the Vikings fourth runner to squeeze out a 56-58 win. Braedon Stevens and Kyle Bryram led the way for Hermon, finishing eighth and ninth, running 18:55.18 and 19:08.42. Ellsworth was close behind scoring 65 points as they got a strong run from Matt Frost who was fifth in 18:27.90. 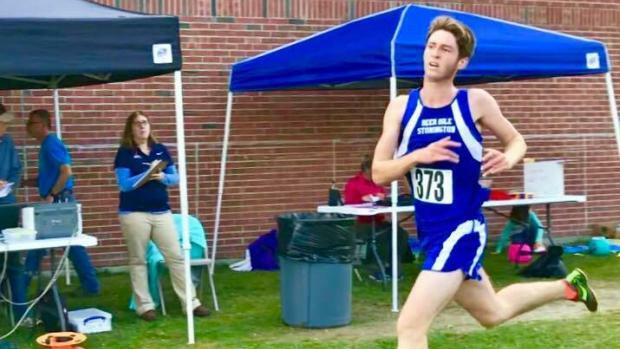 The Monmouth Academy girls and Boothbay boys took titles at the MVC Championships at the University of Maine at Augusta on Saturday. Danielle Parker led the way for Monmouth finishing third in 22:38.10. They put five in the top 11 overall to score 35 points. Boothbay freshmen Haley Abbott won the race in a personal-best of 21:16.90, with Maya Deming of Winthrop second in 22:33.20. This was Abbott's second win of 2017. It was Blake Erhard of Boothbay taking the boys race in 18:11.30, with Gaelan Boyle-Wight of Telstar less than 10 seconds back in second, running 18:20.10. Erhard's teammate Kyle Ames was third in 18:37.40. Erhard has won five of six races in 2017. Boothbay had five in the top 17 overall to score 30 points. Elsewhere around the state, the Scarborough boys and Westbrook girls picked up victories at a five-way SMAA meet at Windham High School on Friday. Harrison Osborne and Connor Coffin led the charge for the fifth-ranked Red Storm as they took the first two spots, running 17:40 and 17:42 respectively. This was Osborne's first win of 2017. The top five were separated by just eight seconds. Aiden Willey of Bonny Eagle followed in 17:43, with Tristram Coffin of Scarborough (17:44) and Anthony Breton of Bonny Eagle (17:48) rounding out the top five. On the girls side it was Bonny Eagle's Ami Beaumier picking up her fourth win in 2017, crossing the line 19:46. 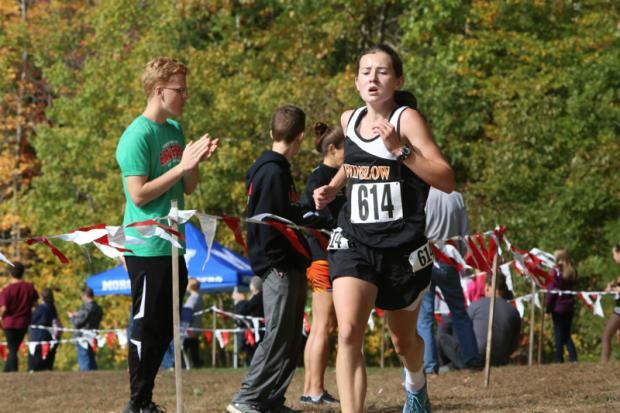 Teammates Kayla Raymond (19:58) and Emma Abbott (21:35) followed in second and third, but Westbrook put its entire top five in front of Bonny Eagle's fourth runner to win scoring 54 points. Bonny Eagle and Scarborough each scored 65 points but the Red Storm, who was resting its top runners, won via the sixth-runner tiebreaker. Ryanne Cox was the top finisher for Scarborough, finishing fifth in 22:57. The Massabesic boys and girls teams picked up wins at a four-way SMAA meet at Sanford on Friday. Kylie Johnson won her first race of the season as she crossed the line in 20:19. Mackenzie Young of Marshwood was the runner-up in 20:37, with Massabesic's Hallie Benton third in 21:39. The Mustangs had five in the top 10 to score 26. Marshwood was second with 36 points. 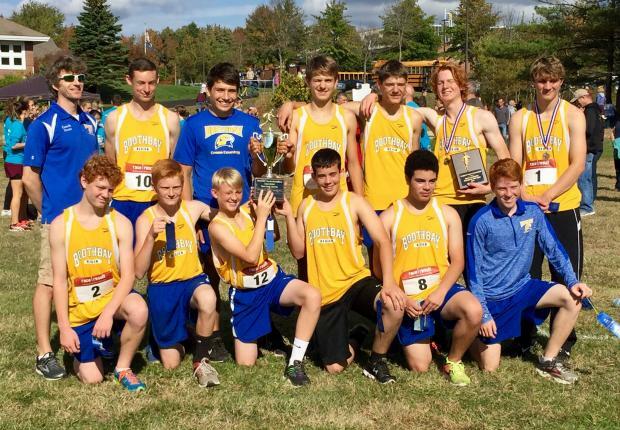 The Massabesic boys notched a perfect score with Alexander Swett taking the win in 16:32. Jacob Aboud (17:27), Jeffery Waters (17:51), Jarrod Hooper (17:57), and Jakob Saucier (17:58) rounded out the top five. The seventh-ranked Mustangs showed impressive depth as they had six runners go under 18:00. This was Swett's second win of the season. 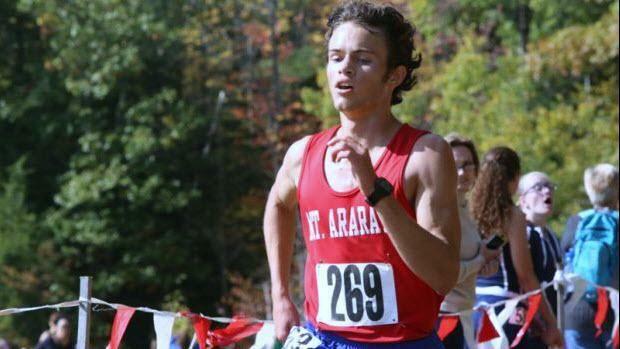 Both the boys and girls teams go into this weekend with aspirations of top five finishes at the Southern A Regional this Saturday at Twinbrook.